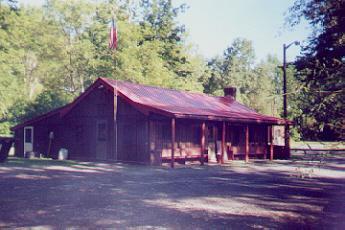 Lansing Rod & Gun Club, Inc. BORED AND WANT TO SHOOT SOME WHITETAILS ... CLICK THIS LINK .. Welcome to our club. 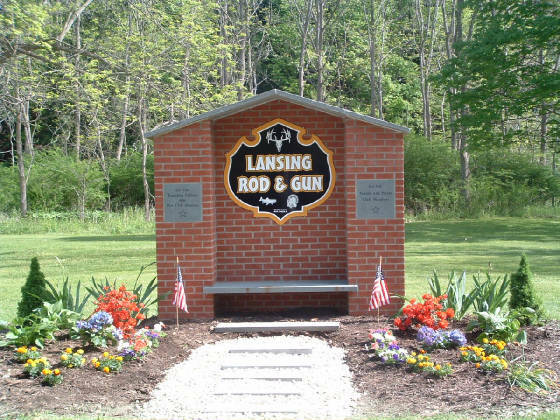 Lansing Rod & Gun was formed and incorporated in 1955 by a small group of hunters, fishermen and target shooters. From those humble beginnings we have grown to include 150 plus members and an expanded facility where we provide many services as well as fun and safe endeavors for our members and the public. We are located on some 160 beautiful acres of woodland and meadows surrounded by hills with Salmon Creek winding through. The clubhouse is a rustic log building which fits in the landscape perfectly. A nice big fireplace greets our visitors as they come in the door and makes for a great atmosphere on those cold and snowy winter days and nights. We invite you to come and sit with us by the fire. We are an ATA registered club and hold registered events yearly. We also have a Bow Club and an active group of four wheeler enthusiasts. We continually strive to improve our facility and expand our services. The club maintains two trap fields equipped with PAT traps and CVR voice release systems. Both are capable of doubles, handicap to 27 yards and are lighted for night shooting. Please stop by when you are in the area. We always like to make new friends. Give the club a call at 607.533.7711 and we will give you directions.